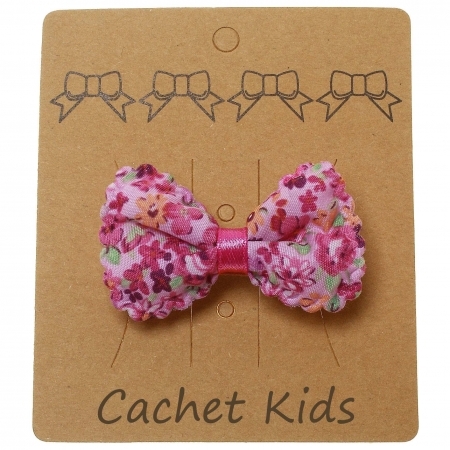 Lilac floral hair bow with flat clip. Lilac colour satin ribbon at the centre. Size 6cm x 3cm.